Can’t we deal with job descriptions later? 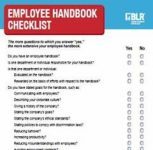 No, you need lean, practical job descriptions that accurately reflect essential job duties, says BLR’s California Employment Law Letter. They serve an important, if not necessary, function in virtually every significant employment decision businesses make. The California Employment Law Letter (CELL). is written by Mark I. Schickman, and Cathleen S. Yonahara, both attorneys at the law firm of Freeland Cooper & Foreman LLP in San Francisco. Most employers use some form of job description, but many are cumbersome documents that have little practical value because they’re long, complicated, and outdated. Others are too simplistic and lack sufficient detail. While companies aren’t legally required to maintain job descriptions for each and every job, it’s in an employer’s best interest to do so since job descriptions are one of the most effective tools to establish which job functions are essential. And knowing which job functions are essential is critically important to many employment decisions businesses make on a daily basis. For example, knowing which duties are essential and which aren’t helps employers make appropriate decisions when they are engaging in the Americans with Disabilities Act (ADA) interactive process with an employee who requests an accommodation. Likewise, being able to adequately explore an applicant’s ability and willingness to satisfy essential job functions may help a company avoid discrimination claims in hiring. 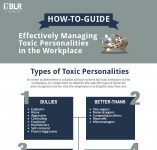 You can learn more about BLR’s Sample Job Descriptions Encyclopedia here. Finally, an executive job description that details the regular supervision of two or more other employees, establishes that “management” is the primary duty of the position, and describes the authority to hire, fire, promote, or make assignments, is a useful tool in convincing a court that a disgruntled former manager was properly classified as exempt from overtime pay under the Fair Labor Standards Act’s (FLSA) executive exemption. When businesses are recruiting, it’s important to communicate to job applicants as early as possible the conduct, attendance, and performance expectations the businesses have. Employers probably do a good job of that during employment interviews. But if a company has clear, concise job descriptions, it can begin to communicate those expectations even earlier by attaching them to employment applications. The job description can then be used during the interview process to explore an applicant’s suitability for the job. Making good hiring decisions is one of the best ways to avoid employee problems. 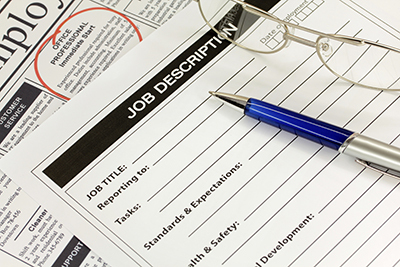 With more than 700 pre-written job descriptions and suggested pay grades, the Job Description Encyclopedia can save you a lot of time, and help you stay compliant. Learn more now. Of course, job duties can change over time for a variety of reasons. Therefore, employers’ attorneys strongly recommend that job descriptions be updated regularly. Of course, it’s also important that a job description match the reality of the job, not what management thinks the job entails or the lofty standards management would like it to entail. At Freeland Cooper & Foreman LLP, the CELL says, we have found that the best way to accomplish that is to form joint management-employee teams who are charged with reviewing existing job descriptions and making appropriate changes. Involving a representative sample of employees who perform the actual duties (as well as labor union representatives if applicable) in the process results in an overall better product and helps ensure employee commitment. When a job description considers how much of each task must be done and how well it should be done, it can directly support performance evaluations. The strongest and fairest evaluations are based on how well an employee performs duties outlined in a job description. When the time comes to formally evaluate employees, employers will find that the ability to compare actual performance against stated expectations is enhanced by the fact that the employees have contributed to the setting of those expectations. In part 2 of this article, we’ll explore 5 critical components every job description must contain.